(July 17, 2017) According to staff of the Charlotte Regional Transportation Planning Organization (CRTPO), Highway 160 (Steele Creek Road) is now scheduled to be widened to four lanes with a grassy median, bike paths, and sidewalks beginning in 2021. 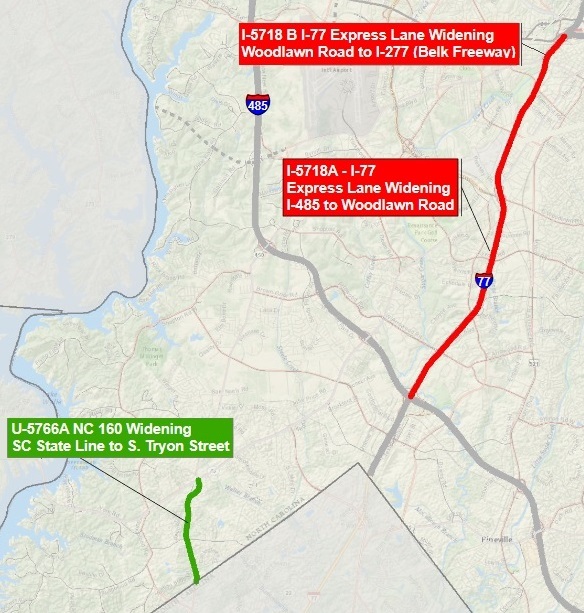 The project covers nearly the entire length of Highway 160 through Steele Creek, from the South Carolina state line to I-485. Widening Highway 160 has moved up quickly in the highway construction schedule since 2013 when it wasn't projected to be widened before 2035. In the initial draft of the 2018-2027 State Transportation Improvement Program (STIP) released in January 2017, the widening of Highway 160 south of Highway 49 was scheduled to begin in fiscal year 2022, but in the revised draft STIP released in June, construction was moved up one year. The widening of Highway 160 north of Highway 49 was included in the 2016-2025 STIP addopted in 2015 and also was scheduled to begin in 2022, but the beginning of construction for that portion also has been moved up one year. Projected costs for the entire project include $10,800,000 for right of way acquisition and utility relocation in 2019 and $48,800,000 for construction in 2021 through 2024, for a total cost of $59,600,000. The schedule and estimated funding amounts are available on Page 10 of NCDOT's Revised DRAFT 2018-2027 STIP supplement for CRTPO. The North Carolina Board of Transportation will adopt the 2018-2027 DRAFT STIP in August. The CRTPO will adopt its TIP in September. The TIP will be a subset of the 2018-2027 STIP just for the Charlotte planning area. See the full draft TIP list for CRTPO HERE. The CRTPO is accepting comments to the local 2018-2027 DRAFT TIP through August 9. 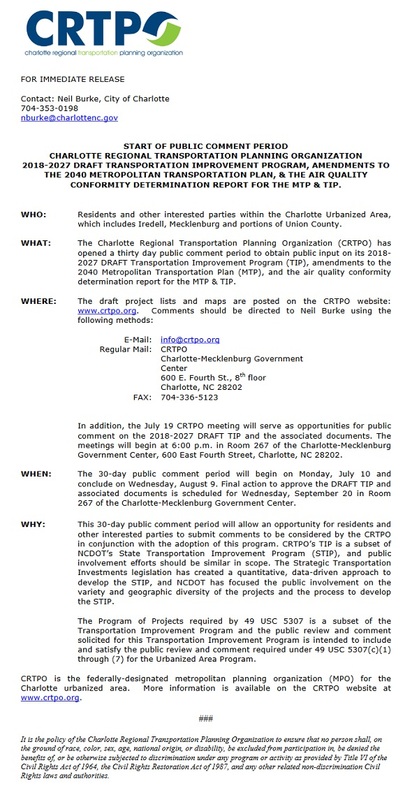 Interested persons may also provide comments in person at the July 19 CRTPO meeting (6:00 PM in Room 267 of the Charlotte-Mecklenburg Government Center, 600 E. Fourth St., Charlotte). See Agenda. 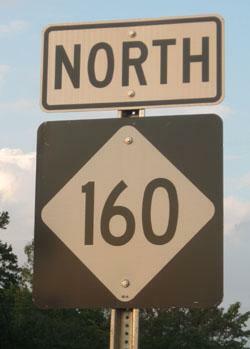 The widening Highway 160 south of Highway 49 is part of the draft TIP and must be formally adopted by NCDOT and CRTPO by September. The widening of Highway 160 north of Highway 49 was adopted in 2015 and thus its funding is already commited. The map below shows the projects in southwestern Mecklenburg County. The map showing all the projects in Mecklenburg County can be viewed HERE. Currently Highway 160 north of South Tryon Street up to Shopton Road West is being widened a few feet and resurfaced. Work will continue during nighttime hours through late fall. Additionally, the intersection of Highway 160 and Hamilton Road is also being improved and widened, with construction set to begin in 2018. See the Press Release on the Public Comment Period below.